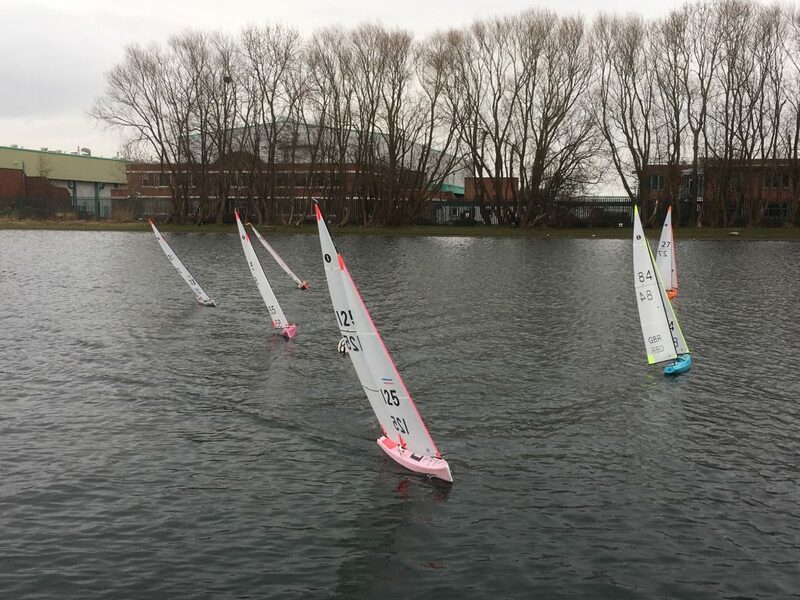 A steady (ish) south-easterly breeze greeted 10 eager skippers for the final round of the famous Birkenhead IOM Winter Series. Several of the usual suspects were missing, no doubt saving Mothers day brownie points so they could attend the first Marblehead ranker at Watermead on Sunday. In total 27 skippers have competed and running into the final day any of the top 6 could have won. That said, 2013 World Champion Rob Walsh from Fleetwood had won each of the days he sailed and although not leading going into the final race, due to not having a discard, a betting man would put his money on Rob winning with a perfect score of 400. The first race was led by Paul Allen, with Rob and Martin Roberts scrapping for second and third. This set the tone for the day, with these three sharing most of the top 3 places in all 9 races with Rob claiming more first places. After some post brew drizzle the breeze dropped and begun to shift to the forecasted southerly. With this come several general recalls as the course became biased on starboard tack. After 9 races Rob Walsh won with 10 points, Paul Allen was second with 16 points and Martin Roberts third on 21 points. As some may have forecasted Rob Walsh won the 2017/18 IOM Winter Series scoring the perfect 400. Paul Allen was second scoring 375 and Graham Elliott was third scoring 366.